Many patients spend hundreds of dollars on over-the-counter teeth whitening products that do not provide the results they want to achieve. From strips to trays, toothpastes to mouthwashes, no whitening treatment available at the local drugstore can compare to the results achieved with professional-grade whitening solutions through Levenson Smile in Worcester. Dr. Levenson is dedicated to helping his patients enjoy a beautiful smile, and provides several solutions for those interested in brightening their teeth for a dazzling appearance! Dr. Levenson offers a number of teeth whitening solutions through his practice. Some patients enjoy the benefits of take-home whitening trays, which use professional-strength bleach and custom-made plastic trays. Others prefer in-office whitening, which can provide them with a dazzling smile in as little as one hour. In addition, when patients maintain their regular visits with Dr. Levenson twice a year, they can become a part of the "Whitening for Life" program, which provides patients with whitening gel every biannual checkup. Dr. Levenson’s practice. Unfortunately, each whitening procedure has its own relative cost depending on the strength of the solution used, the type of whitening treatments, and how many times the patient undergoes the procedure. In-office whitening is often the most expensive, but provides the fastest results. This procedure is great for patients who need to whiten their smile quickly for an upcoming event such as a school reunion or wedding. Whitening trays can provide gradual results at home, and are part of the Whitening for Life program. Some patients may incur more expenses if they are dealing with restorations, as these may need to be replaced after whitening has been completed. All of these costs and concerns can be addressed when patients visit their dentist for a consultation. 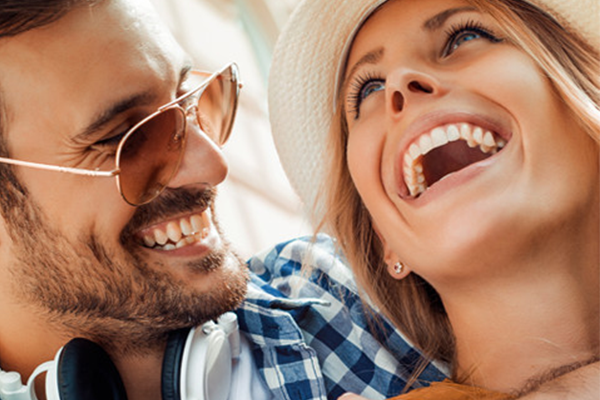 When patients visit Dr. Levenson, he can evaluate the varying factors associated with the cost of whitening and provide an accurate quote for those interested in brightening their smiles.